Running provides an efficient full-body workout, burns a ton of calories, tones the body, provides a great venue for socializing, and improves emotional well-being. Once new runners have mastered the Couch to 5K, they often begin training for longer races. After running a few 10Ks and a half marathon, some runners begin thinking about training for a full marathon. This 26.2-mile race got its name from the legend of Pheidippides, who ran slightly less than 26 miles from Marathon to Athens to announce the Athenian army's victory over the Persians. Once poor Pheidippides arrived and proclaimed, "Rejoice, we conquer," he is said to have fallen over dead. Why do so many people want to run a distance that could kill someone? The thrill of the challenge and the personal victory from achieving such a high goal inspires most marathoners. Others train for a marathon because they want to burn thousands of calories while strengthening their bones, heart, and muscles. Others train for a marathon because their friends put them up to it or to support a loved one who is seeking optimal physical fitness. The medical community is still much undecided as to whether the benefits outweigh the risks of long-distance running. While more studies are needed, physicians typically consider a runner's age, size, and body mechanics before advising patients regarding long distance running. Almost anyone who has been properly trained, is well-nourished, wears with suitable footwear, and is not injured can complete a marathon. The human body is marvelously designed to adapt to the physical stresses of long distance running. However, before training for their first marathon, runners must understand the risks and then carefully determine for themselves whether the benefits outweigh the risks. "Muscle damage and inflammation can remain for seven days after having run a marathon (Hikida,1983), while repair of muscle fibers can take three to12 weeks" (Warhol 1985). "Post marathon data have found 'stiffness or pain' in 65 to 92 percent of marathon runners" (Satterthwaite 1996; Kretsch 1984; Nicholl and Williams 1982). Source: Just What Does Running a Marathon Do to Your Body?, by Jake Emmett, Ph.D. 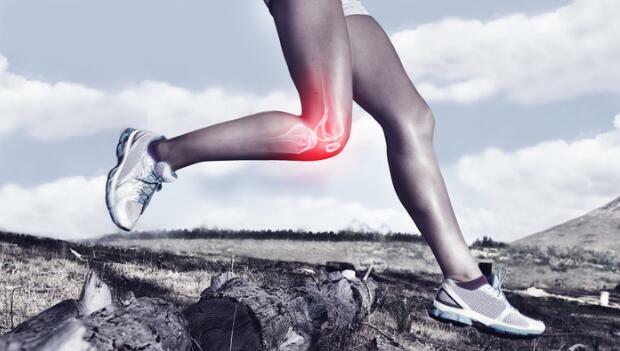 Swelling and inflammation are common after intense exercise, but research seems to indicate that the body will eventually adjust to the increased level of exercise following regular intense training to help reduce systematic inflammation. However, since oxidative damage may be carcinogenic, continued inflammation should be addressed before significantly increasing mileage (The Effects of Marathon Running by Nam Nguyen). Pheidippides wasn't the only one to drop dead after running a long distance. A 58-year old man died of a heart attack while running the 2008 New York Marathon. Jim Fixx, author of the bestseller, The Complete Book of Running, completed several marathons before a heart attack took his life during the middle of a run in 1984. Others have died while running, but in most cases, they, like Fixx, had a family history of heart problems, high cholesterol and "warning signs such as angina, nausea, and epigastric discomfort" (Naokes 1987). While the risk of having a fatal heart attack during the 24-hour period following a marathon is only one in 50,000 according to a 1996 study, everyone, especially those in their mid-forties or older, should first get a doctor's approval before training for a marathon.